All pins have mickey ear backs! Disney trading pins. If you order more than 1 set you will get duplicates of the lot of the pins! 50 random pins. Happy Trading! leave high stars for us! Disney Pins lot of 100 pins-No Duplicates Tradable. If you don't receive. 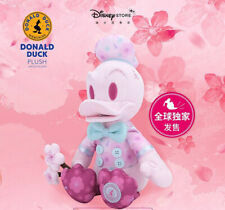 Genuine shanghai disney Park product. SIZE Adult Size. We will try our best to resolve the issues. Conntact Us . There will be no duplicate pins and they are all 100% tradable. They are authentic and 100% tradable. However, we do try our best to pick assorted bags that appear to have different pins within. We have been serving the online community for well over a decade. This product is new tokyo disney hand soap. Even if the contents run out, you can use the Mickey Shape hand soap as it is. It is the most prosperous place in Japan. as long as you put the contents of "Biore U Foam Hand Soap". Fantasy Pin - Disney Stitch as Mermaid LE100. Here is an opportunity to buy Disney pins at a great "Buy it Now” price. The pictures show the quality of the pins you will receive not the actual pins as our inventory changes frequently. You will probably receive between 100-125 different pins. Since this is 2015's year model, the market inventory level is very low, a super popular model in Japan. You will get what you see. 2007 $1 Ariel Disney Dollars # 00622672 * Disney Dollar * Good Condition. Condition is Used. No tears looks like it was folded at some point.check photos.Shipped with USPS First Class Package. A white mug from Beauty and the Beast featuring Chip. Tokyo Disney Land Resort Attraction Captain EO. United Kingdom. Rate (item arrived). Other Countries. Rate (item arrived). Other Countries. I am very glad to reply. Rate (item arrived). Other Countries. Winnie the Pooh Piglet Plush! Stuffed with fluff. Every hug is sure to bring a smile. With authentic Disney sculpturing and embroidered details, Piglet and his plush pals from the Hundred Acre Wood will sweep your cares away. Vintage Disney Plastic Cups By Burger King. Condition is New. Shipped with USPS Priority Mail. This band has NEVER been used and is UNLINKED. You can use it for your next Walt Disney World trip! Material:soft plush. We will get back to you as quickly as we can. Tokyo Disney Resort Mickey Shape Foam Hand Soap Mickey and friends. We are glad to help you! Condition: New. We would like to provide good products as well as good service! Buy 20 and get 2 Free and so on. 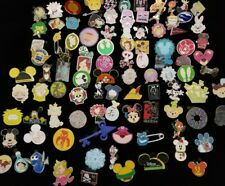 10 Disney Trading Pins no duplicates All authentic, no fakes or scrappers. Lady and The Tramp Film Magic Pin. 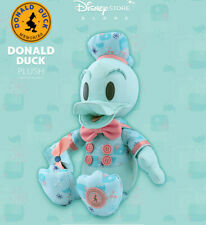 Disney Japan Theatre Pin. Don't miss！. This is the authentic item. It is not a copy or unauthorized replica. Disney Pins Lot. If you order more than 1 set you will get double of a lot of the pins! 100 random pins. All pins have mickey ear backs! Happy Trading! leave high stars for us! ABOUT THE ITEM: This is a very nice WALT DISNEY WORLD Park & Resort Orlando original prop featuring a glass olive oil bottle. 7" tall and is in great condition. This was used at one of their parks or resorts and wasn't available for sale to the general public. I do my best to make sure there are no doubles. DISNEY PIN LOT 100. I do want to make sure you are happy with your product and enjoy your pin trading experience.